The first time I got on YouTube was in the year 2013. I was super shy at recording videos but I did it anyway, as I realised the potential that this platform had. Thru one of my older channels on YouTube I was able to generate over $40,000 of sales promoting affiliate programs, within a span of 18 months. I was able to truly see the potential of the platform. Today, the sources of generating income are countless. 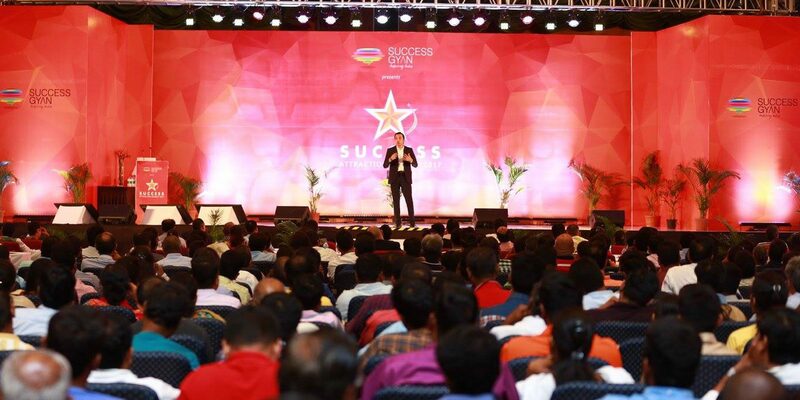 All you need is a talent, awareness, and dedication to earn money from anywhere, even from sitting at your home. Evolution of social media has revolutionized the way people interact with one other. Today, anyone with a camera can literally reach to millions of people at a time. YouTubers are earning a living through uploading excellent videos and sharing their expertise globally. Two years ago, the number of YouTube channels that earn six-figures income in a year has grown by more than 40%. Since 2017, the number of YouTubers who earn five-figures income has grown by more than 50%. 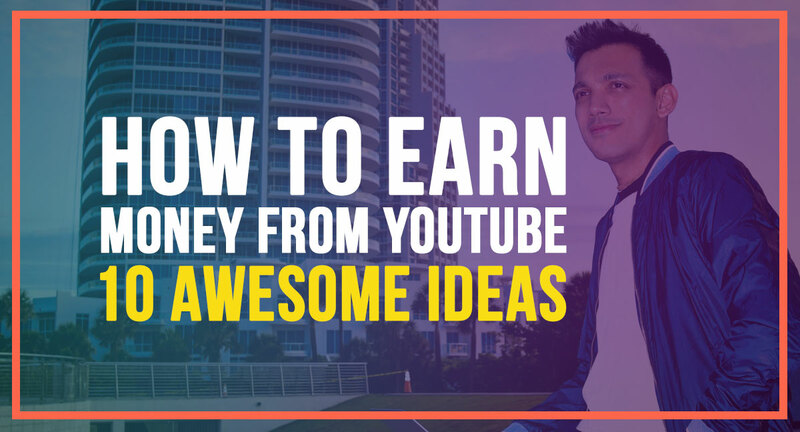 If you are going to dive into this world of YouTube, here’s your answers on how to earn money from youtube. Affiliate marketing is a way of promoting others’ products and earn a commission. You can apply this formula on generating content on YouTube. If you are an affiliate of a product, you can record a video series share it on the platform. Video content has the capability of selling things that no one can. According to a study, 73% of people purchased a product after seeing an explanatory video. While publishing your products’ video, you can mention your affiliate link in the description to help your viewers check out the product if they want to purchase. After every successful purchase from your affiliate link, you will get a fixed commission. As an affiliate marketer, you can get creative and experience different forms of content to promote your product. You can try animated series, publish short stories promoting that video or publish unboxing and reviewing that product to generate engagement. 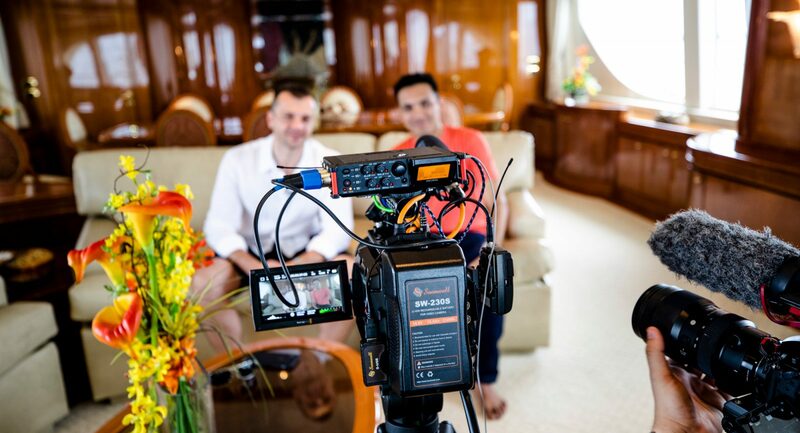 Your product videos will educate and entertain people while providing a relevant product to them. However, you have to be very specific and understand your demographics while publishing a product video. If your targeted demographics are millennials, you have to develop content that appeals to them. While targeting baby boomers, you cannot use the same message which you used for millennials. Influencer marketing is an ongoing online marketing channel that would flourish in the coming time. According to Forbes, top YouTube celebrities earned 42% more last year. This jump in their earning clearly align with the belief that influencer marketing suits best on YouTube. In influencer marketing, an influencer or a celebrity subtly promote a brand or its product through their videos. This is totally different from the one we had discussed in the above point. For example, a vlogger who shares his experience while she travels across the world may be a perfect fit to promote Airbnb. A tech YouTuber may share the experience of the upcoming smartphones. Meaning, advertisers have to pick niche-specific YouTube influencers that match with their products. Because that’s how they can target that YouTube celebrity’s audience and promote their brand. So, a YouTube influencer can get collaboration and partnership requests to promote the products on the videos and earn. Based on the number of followers you have and the engagement that you get on your YouTube videos, they will decide how much you can earn as influencer marketer. But to become an influencer, you need to provide constant effort, publish unique and excellent content that helps you elevate your social media image to a whole new level. If the users find your content entertaining and informative, they will subscribe, comment, like and hopefully share your content with others. Today, YouTube is the second largest search engine in the world and its processes more than 3 billion searches a month. 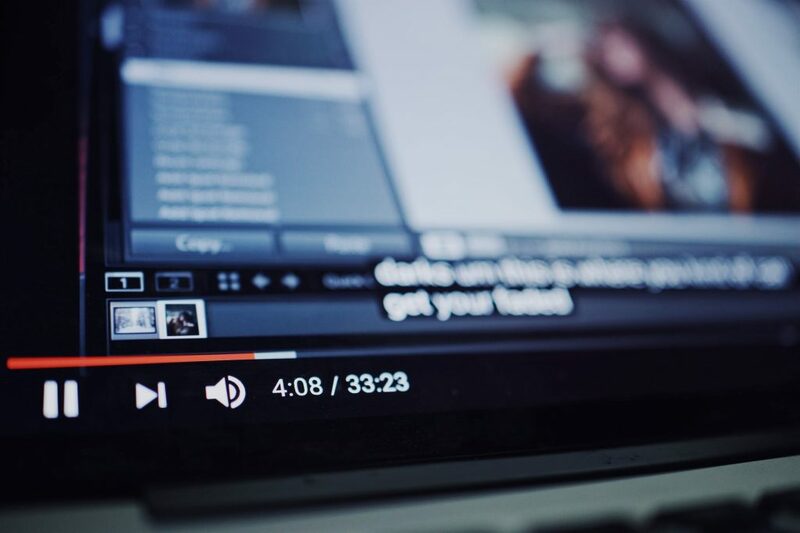 As Google is becoming more competitive and crowded space to rank your website, YouTube gives you a great opportunity to rank your videos through which you can generate traffic on your website. Your videos should be optimized for a specific query so that users can find your videos first and engage with them. Then, you can craft your videos in a way to encourage viewers to redirect to your website. One of the great ideas to produce videos is to repurpose existing content on your website. You can repurpose guides and case studies published on your blog and make a small video out of it. You can highlight key points of your case study that would ignite curiosity in the viewer and make them read the full content on your website. YouTube is a great platform for e-commerce websites. Just like your affiliate videos, you can publish dedicated videos on YouTube that would explain about your own products. A great way of storytelling that would land your channel subscribers on your website and make them purchase your stuff. 69% of buyers reported a product demo is the best way to help them make the purchase decision. For example, if you own an e-commerce store that sells home improvement tools, you can make separate videos for each and show the benefits of each tool. 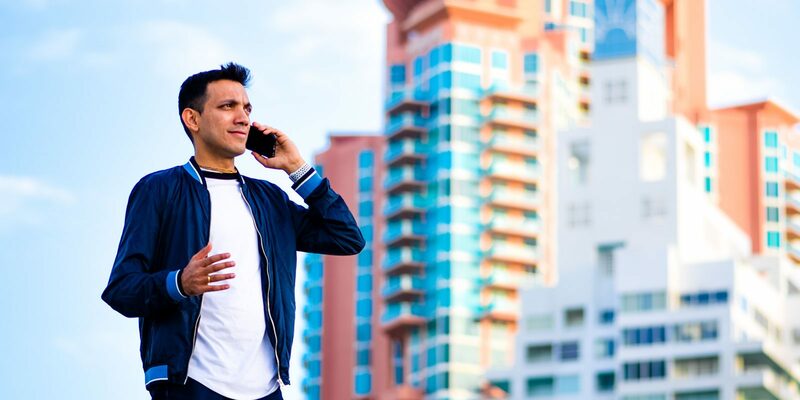 This way, your business sales would grow and you will get to connect with the globe through your video. Moreover, a video published on YouTube goes a long way. You can embed those videos even on your blog, websites, and other social media channels. Hence, you can utilize your YouTube videos multiple times and get the maximum result for your business. Short stories have the power of delivering a message with impact and inspire people. Short stories can educate, entertain by striking a various emotional chord of the viewer by communicating special messages like emotional, spiritual, non-violence, humor, etc. If you have a cinematic eye and looking for a chance to showcase your talent to the globe, here is your chance. You can upload your short stories on YouTube and eventually generate an income out of it. Once your short stories are getting engagement, comments, views, and shares; advertisers would love to sponsor your upcoming content by collaborating with you. But your short stories have to appeal to your audience and bring them to your channel to check out your other videos. It should have a meaningful script, screenplay and an engaging background score that captivate users’ attention and communicate the message effectively. By collaborating with brands, you can also publish a couple of seasons with a few episodes based on a particular theme and the brand would be your ideal sponsor for respective seasons. YouTube partner program is a lucrative option for you to monetize your hard work of creating YouTube content. YouTube has a partner program where it rewards those channels which meet certain guidelines. Once you are eligible to participate in YouTube’s partner program, YouTube will run targeted ads with your videos. The targeted ads will be relevant to the type of videos you are publishing, the more clicks the ads get through your video, the more money you will get by the video streaming platform. The YouTube partner program is favorable to the content creator. The program is a non-exclusive agreement between you and YouTube, so you can upload your videos on other platforms as well. YouTube gives you complete copyright of your content. Moreover, once you are a part of YouTube’s partner program, your videos will stream on other YouTube’s content partner websites that are outside of the video streaming platform. Meaning, you will receive more exposure and audience outreach at the end. Sponsored content is a great way to earn money for publishing quality content on YouTube. Influencer marketing, sponsorship, and sponsored content are all different and not related. For example, you review gadgets in your YouTube videos and share your views about the new smartphone. Now, you can tie up with a local smartphone store or smartphone accessory brand and sponsor their content on your videos. Unlike influencer marketing, sponsored content takes a direct approach in informing people about it. While reviewing a smartphone you can showcase your partner’s brand advertisement between your videos. This way, your viewers get to know relevant products and brands and you can earn money from the same. YouTubers usually explicitly say that “this video’s sponsor is [brand name]…” and show a few seconds clip related to the sponsor and then continue their video. People love finding new techniques and improve their knowledge and understanding of a particular niche. In fact, “how to” searches are increasing by 70% each year and that leads to the conclusion that tips, step-by-step guides, and tutorials are the most demanded videos on YouTube. 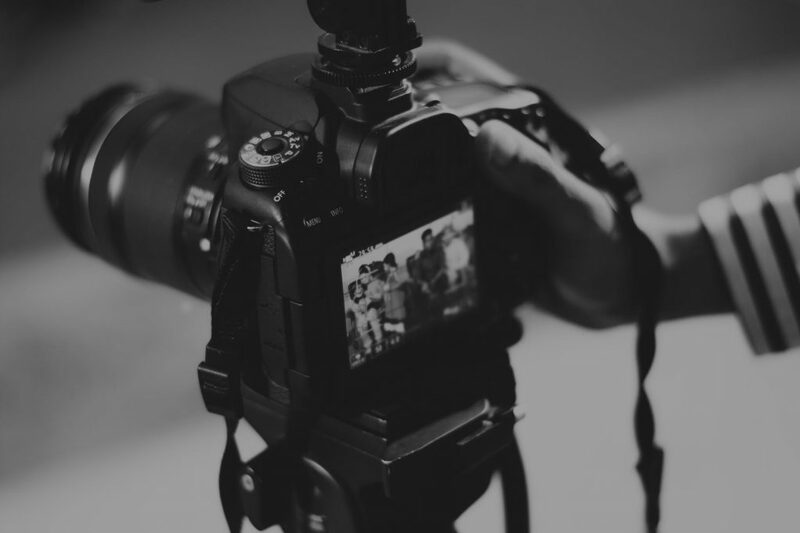 The growth of people searching such content gives great opportunities to video publishers to get the maximum exposure, views, and engagement on their video and eventually earn revenue out of the same. You can shoot what you are best at. Maybe you know computer hacks that can help someone achieve productivity in their routine lives. You can share how-to guides to help others get rid of the common problems of computers. If you have a creative mind and have some cool DIY stuff to share, your videos might go viral. The more engagement you get, the attention you will grab from advertisers and marketers. Once you get a constant engagement from your How-to guides, the other earning scenarios discussed above will be prominent for you to earn some cash. 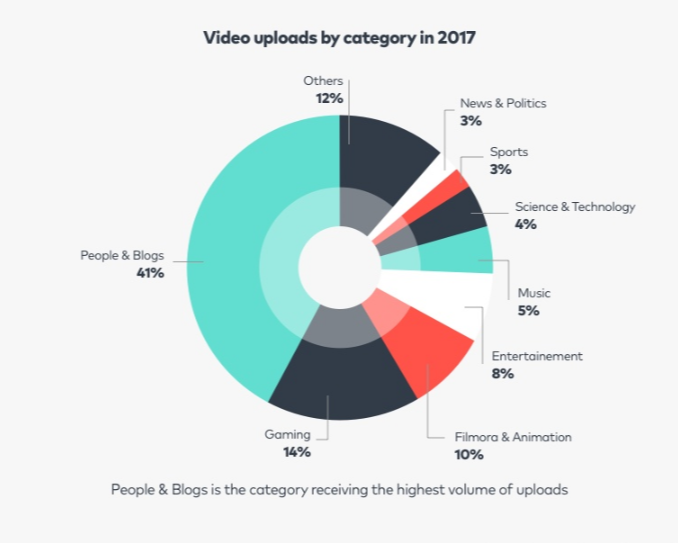 Wondershare Filmora published an infographic where they have also mentioned the type of content that YouTube hosts. As you can see people and blogs, gaming, entertainment, and animation videos share the major contribution in overall content published on YouTube. Your content should make people laugh, cry and educate in any way possible. Understanding their expectation and their routine mindset will allow you how to say things and when to say it. You can publish your gaming videos. There are people like Shroud, Dynamo, and Panda who are excellent at certain games and record their screens while playing. They upload their complete recording and people are fond of their gameplay and regularly watch their videos. Going live is a powerful way of broadcasting to millions of people without any filters. Gamers often go live while playing, it captivates users through their session and become help them generate engagement on their channel. You can collaborate with local influencer and host live QnA session on YouTube where people will ask a question in a comment and you can answer them. Inviting influencer in your YouTube live will also bring the influencer’s audience to your channel and eventually increase viewership on your videos. 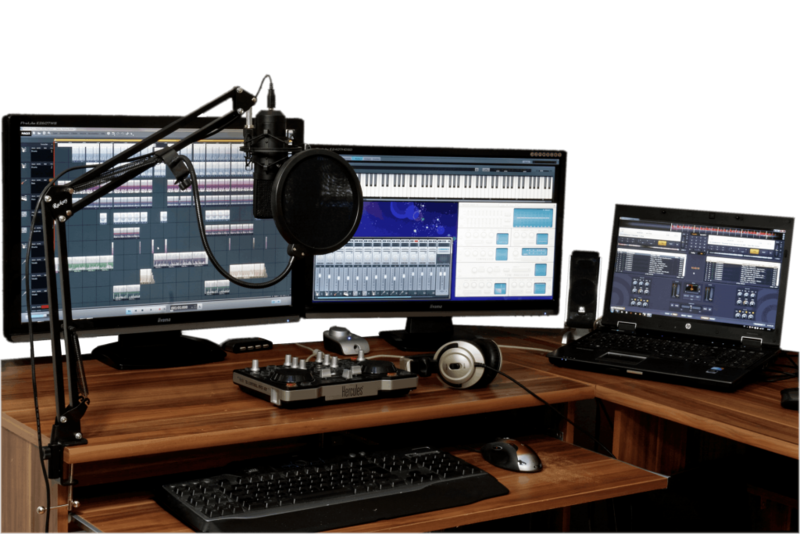 For your live sessions, you can collaborate with brands and manufacturers and mention their names in your live sessions in front of real-time visitors. This way, the brands will also get instant media coverage and you can charge accordingly. So are you ready to step into this journey? It’s not for everybody. But if you see yourself doing this seriously, then get in. YouTube can give you excellent work-life balance and the make you global icon through your talent and hard work. However, you need to hustle in your initial time and constantly publish excellent content to grab people’s attention to your videos. If you just publish a couple of great videos and expect your follower count to increase, your strategy might not work. Being a YouTuber is a responsible yet fun job. People will look up to you as an authority in your industry so you cannot expect any glitches in your content. The content quality has to be excellent and relevant to your audience. If you are building your YouTube channel at the moment, share your experience in the comments. Your insights might inspire someone else to follow their passion and change their lives through YouTube. Moreover, if you know any other ways on how to earn money from YouTube, share that too. I’ll be doing a LIVE webinar on “How To Make Money Thru Videos” shortly. Click here to register yourself. We will connect LIVE. No recordings. No replays.